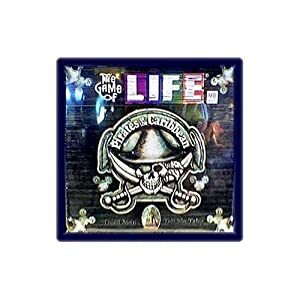 It tells you all you need to know about movie spin-offs that there are THREE, yes, THREE versions of POTC Life. THREE! Okay, there are three movies, but come on guys, didn’t you think that fans might get tired of being milked? This one was quite popular with Amazon customers and is reasonably priced. You might have a harder time selling the versions of the later two movies, which were decidedly average and had the feeling of being rushed out to cash in on the success of the first. If you own PASTELINK, please rate it by clicking on the Comments link below the eBay listings.